Every year Christmas is becoming more secularized and commercialized. For many people, though, Christmas is still a deeply religious holiday in which we celebrate the birth of Jesus Christ, our Savior and Redeemer. 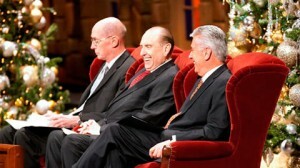 Members of The Church of Jesus Christ of Latter-day Saints (often inadvertently referred to as the Mormon Church) count themselves among that group. 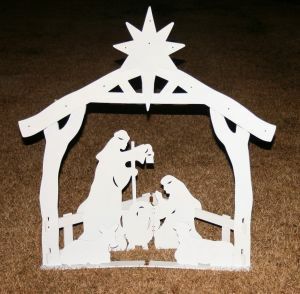 While Mormons certainly put up the Christmas tree, decorate cookies, and hang stockings by the fireplace, they also make a point of centering their celebrations around the birth of the Christ-child. If you’re looking to replace some commercials in your Christmas with Christ, then here are a few ideas to get you started. The best way to kick off your holiday season on the right note is to become familiar with the nativity story in the New Testament. You can find several accounts of Christ’s birth in the Bible, the most notable being in Luke 2. In my home we have a couple of nativity scenes set up and even have a set that kids can play with. We also take time throughout the month to learn more about the essential people in the nativity story. (We use A Christ-Centered Christmas by Emily Freeman to guide our learning and discussion for this.) By ensuring that your family knows the nativity story, you can be sure that they will think about it throughout the holiday season. Some holiday songs are just that–holiday songs. 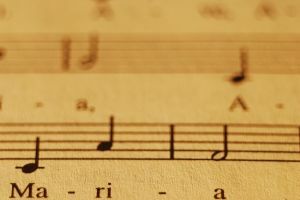 I personally enjoy many of them, but my favorite songs are hymns about the Savior: “Away in a Manger,” “O Come All Ye Faithful,” “Angels We Have Heard on High.” Many of these songs are covered by famous and talented singers, so it’s not hard to find them. Next time you hear “Hark! The Herald Angels Sing” on the radio really listen to the words and ponder what they’re actually celebrating – the birth of the Savior into this world. Another great way to incorporate Christmas hymns into your celebrations is to sing them together as a family. Some of my favorite Christmas memories are of my family gathered around the piano singing beloved carols. Every year The Church of Jesus Christ puts on a simple Christmas devotional that’s broadcast from Salt Lake City, Utah. The devotional is about an hour long and includes poignant talks and beautiful music. At least one of the speakers in the program is an ordained prophet and apostle, one who Mormons sustain as someone who is called to receive special revelation for the world. This program usually takes place the first or second Sunday in December and is a wonderful way to bring the family together and ponder the meaning of the birth of the Christ-child. You can stream the Christmas devotional here. 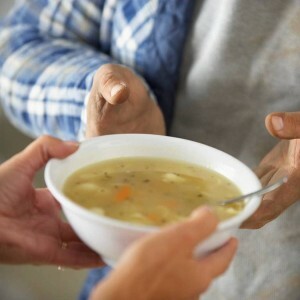 Jesus Christ’s life was full of service to others. The Savior spent His time among the downtrodden and afflicted. He served and loved all of God’s children. One of the best ways to invite Christ into your life is to act on what He taught. Look for opportunities to serve those in your community. Find or participate in a toy drive, volunteer at a soup kitchen, or pick a family to quietly serve. This world is never lacking for opportunities to serve those around us, and Christmas is far from the exception. Our calendars may be full, but we should make time for the things that matter most. Everyone deserves to feel the love of the Savior this holiday season, even if they don’t know it. Your community likely has several cultural events around this time. 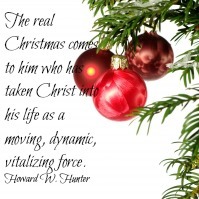 And many of them likely focus on the Christ in Christmas. I went to one event in Portland, Oregon, and was blown away by not only the quality of the production but also by the deep spiritual and religious meaning infused into the performances. Many areas put on live nativity scenes or have special Christmas concerts. If your calendar allows, find one of these events to attend, and you’ll feel closer to the true meaning of the season. Finding special Christmas services is not hard during December. Every Christian denomination holds specific Christmas services. 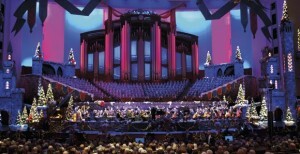 The Church of Jesus Christ holds their special Christmas worship the Sunday before Christmas. These programs are decided by the leaders of the local congregations (called wards) and usually include choral numbers, solo musical performances, and short talks by other congregants. These Sundays invite a special spirit into the season that fills the heart with peace and joy. 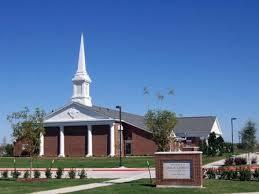 You can find your local congregation here. The December calendar fills up so quickly. Sometimes we think that we have to say yes to every party invitation and make every craft and bake every treat. Perhaps Christmas will mean more to us and our families if we scale back and focus on the most important parts of the holiday. This season take time to ponder the gift of the Lord Jesus Christ and allow yourself to sit in the quiet and feel of His Spirit. Just as the Wise Men sought the Christ-child, when we seek Him, we will always find Him. I hope your Christmas is full of love, joy, and Christ. We have every reason to celebrate.